Description: United Safety featured in the 2014 May edition of the Oil&Gas Middle East Magazine. 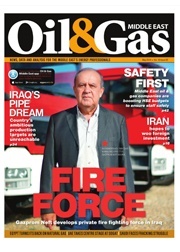 United Safety’s EVP, Elie Daher, was part of the pool of experts interviewed by the Oil&Gas magazine regarding HSE efforts in the Middle East. The article discusses how Oil and Gas players in the region are looking to balance increased production with proper HSE management.